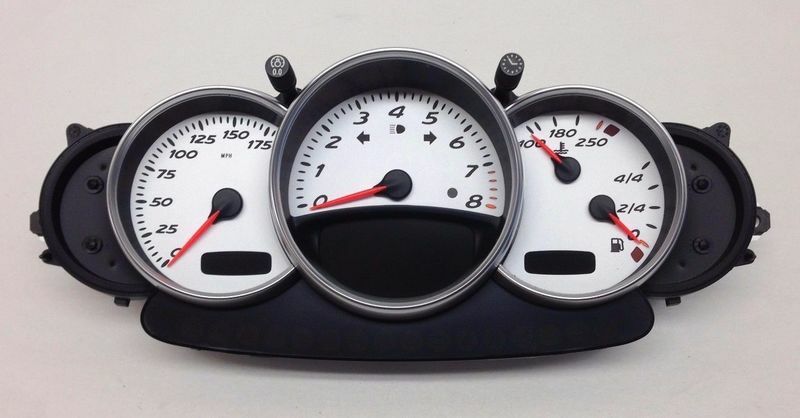 2001 Boxster S Gauge cluster for sale $185.00 shipped. In good condition.Everything works (knobs too). Miles were re-set in preparation for the new owner. The dealer can set the mileage on the cluster as long as there is less than 50 miles on the odometer. Please contact me at: 79boxster at gmail.